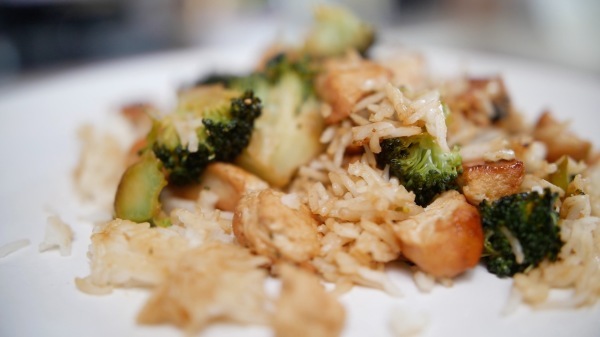 You will get all the ingredients for Dougies chicken stir fry below. Start with chopping the chicken breasts into small chunks.Place in a medium hot frying pan, add the Jack Daniels Glaze. Use the Jack Daniels glaze to taste as shown on the video. Meanwhile, prepare the red onions by chopping them to preferred size, chop up the broccoli and boil or steam. Lastly microwave the rice for 2 minutes, add to a couple of bowls.